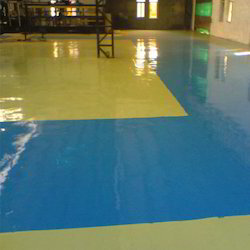 We have established ourselves as trustful entity manufacturing and supplying highly durable Epoxy Self Levelling. The offered coating system is based on modified epoxy resin, which is best suited for optimum floor protection at clean rooms, bakeries, dairies, health care, food processing and pharmaceutical production areas. Floor S3 is two part, solvent free, low viscosity, self-leveling, sealer coat epoxy system. 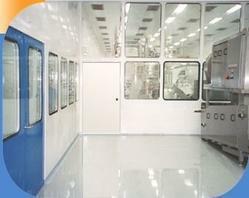 Gal -sl is based on high performance epoxy resin & curing agents. Gal - sl is a three-component system, containing of resin, curing agent and carefully graded iron free fillers. Product is self-levelling to achieve excellent gloss, attractive, hygienic and very hardwearing & chemical resistant finish. The A.R. Epoxy Self Leveling offered by our company is used extensively for making the place appealing. The floor coating epoxy self leveling is available in different shades and color combinations depending on the choice of the customers. Packaging Size: 4 Kgs & 2 Kgs. We are the Leading Supplier and Service provider of Epoxy Self Leveling Service in Chennai, Tamilnadu, India. Application: industries,agrochemical industries,chemical laboratories etc.